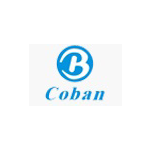 Shenzhen Coban Electronics is a Chinese company engaged in equipment manufacturing in the area of automatic electronics, security products and wireless technologies. The Company was founded in 1999 and since then has got the export going to more than 100 countries worldwide. Coban specializes in the manufacture of GPS-trackers and antitheft systems for automobiles and other transport vehicles. Moreover the company is in for development of personal tracking products for pet and human tracking. The chart below shows the changes within the last 30 days in the number units of Shenzhen Coban Electronics devices type are connected to Wialon Data Center.